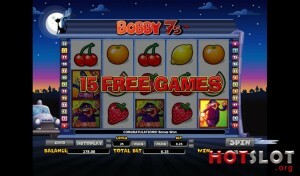 With its 25 pay lines, five reels, and three rows, Bobby 7s is a standard slot, which is easy to play. This slot hardly uses the standard symbols. Instead, it makes use of a lot of fruitmachine symbols, which simplifies playing. The animations you'll want to keep in mind are the animation of the policeman, which is the wild, as well as the thief, which is one of the bonus symbols. Also, as mentioned, look out for the many sevens that each have their own bonus they can unlock. Of course, the wild cannot replace any of these bonus symbols. 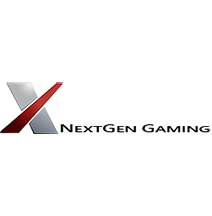 Bobby 7s is a slot by NextGen Gaming where everything is about the police. The ‘Bobby’ in the name of the slot indeed refers to the English slang term for the police, and the way the developer has executed the slot is definitely special. Namely, while the slot is filled with standard fruit machine symbols, it is also equipped with a wild, and the bonus game comes along rather often in order to increase your wins. Like the title Bobby 7s might suggest, you’ll want to especially look out for the sevens. If you take a closer look at the slot, you’ll see that each seven has its own design. Also, each of the sevens has its own corresponding bonus! How to play Bobby 7s? 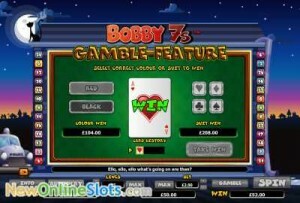 With its 25 pay lines, five reels, and three rows, Bobby 7s is a standard slot and is easy to play. This slot hardly uses standard symbols. Instead, it makes use of a lot of fruit machine symbols, which simplifies playing. The animations you’ll want to keep in mind are the animation of the policeman, which is the wild, as well as the thief, which functions as the bonus symbol. Also, as mentioned before, look out for the many sevens that each have their own bonus they can unlock. Of course, the wild cannot replace any of these bonus symbols. 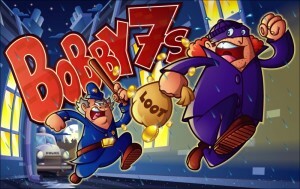 Bobby 7s is equipped with free spins, which get unlocked when the thief lands on the reels at least three times. 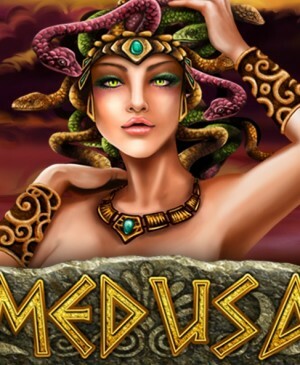 When this happens, you will first receive win two times your wager, after which you’ll choose one of the thieves corresponding to the number of free spins you will play. 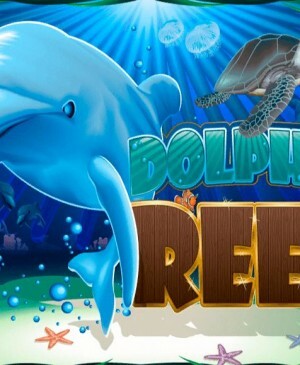 During these free spins, you can regularly keep unlocking all other features, the sevens will thus remain in play. Whilst spinning for free, you can earn additional free spins, so if you’ve not been able to win the amount you were hoping for, your next shot is just around the corner! 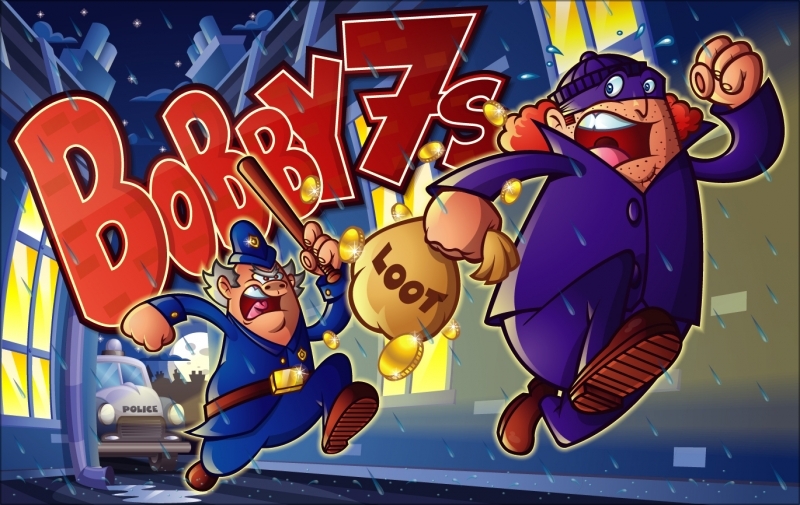 You can unlock three different features in the Bobby 7s slots. The first is the Judge feature. If you the seven resembling a judge lands on your reels three times, the hammer will drop. And each time the hammer drops, the multiplier will increase by one. 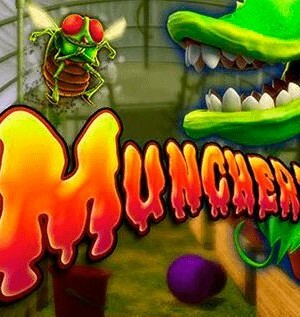 The maximum multiplier is five, and since it’s your bet that gets multiplied, wins can really build up here. Another great feature is the Crook Loot feature. If you can land this one trice, you can choose one of them to uncover your wins. The final feature is the Hi-Low feature. By choosing the right one, you’ll be able to climb the ladder, but if you make the wrong choice, you’ll receive the prize you were on and return to the base game until you unlock the next feature. Bobby 7s is fitted with a total of 25 pay lines. You can choose to play with fewer active ones, but keep in mind that the slot holds many wild symbols that can lead to wins. There’s a gamble function as well as an autospin function, the latter of which will be discontinued often due to the many features and free spins. If the sound effects start to bother you, just mute it by clicking the speaker in the lower left corner of your screen. Without the sound, playing this slot is a lot more relaxed.